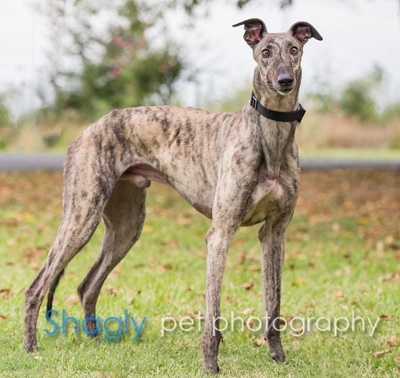 Spirit, aka Eyes Free Spirit, is a 3.5-year-old fawn brindle male born December 12, 2012. His sire is Defrim Bale and his dam is Site Forsoreeyes. Spirit has 98 races on record in Florida from 2014 to 2016. His career ended with an injury that has now healed. 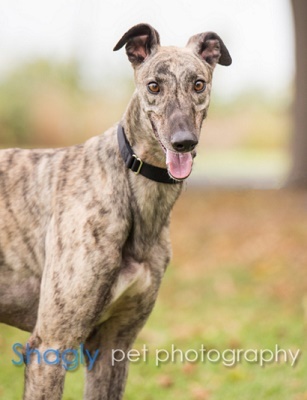 Spirit was part of the Greyt 32 Arrival!